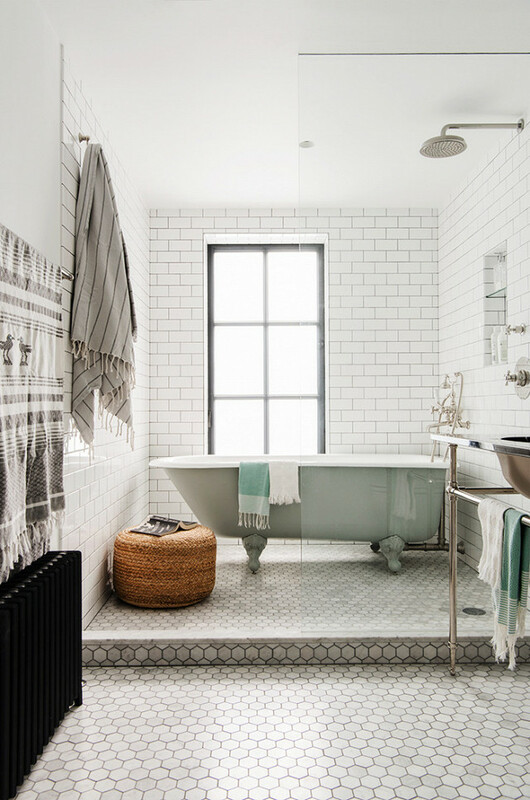 La Maison Jolie: 14 Things To Consider When Renovating Or Building Your Dream Bathroom! 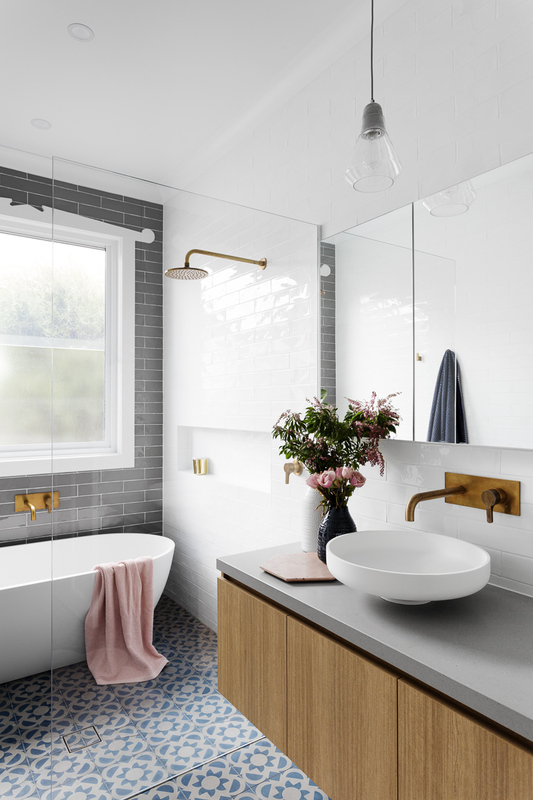 14 Things To Consider When Renovating Or Building Your Dream Bathroom! Are you redoing your bathroom? Renovating completely or attempting a DIY build? Or maybe just refreshing your bathroom with small changes and new accents? Bathrooms have certainly evolved from simple, utilitarian spaces into personal retreats and spa sanctuaries. 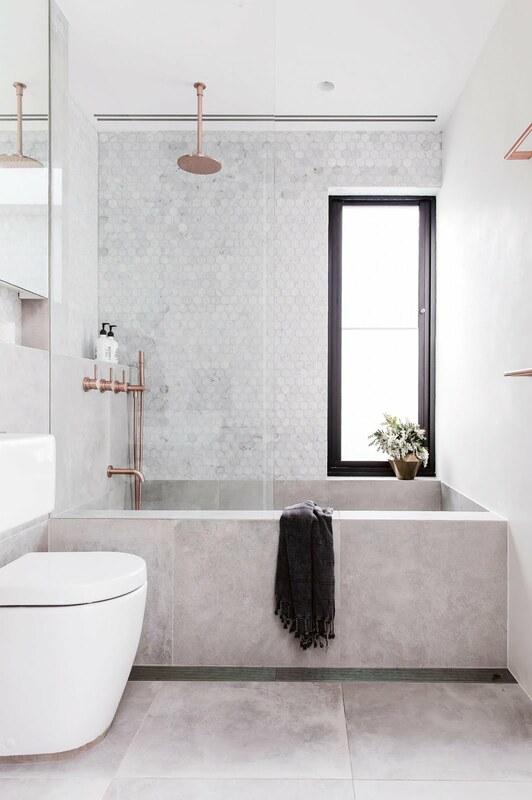 So you can imagine, there are quite a few things that you need to have on your renovation checklist so that you don't miss any of the fundamentals when it comes to designing a stylish bathroom. 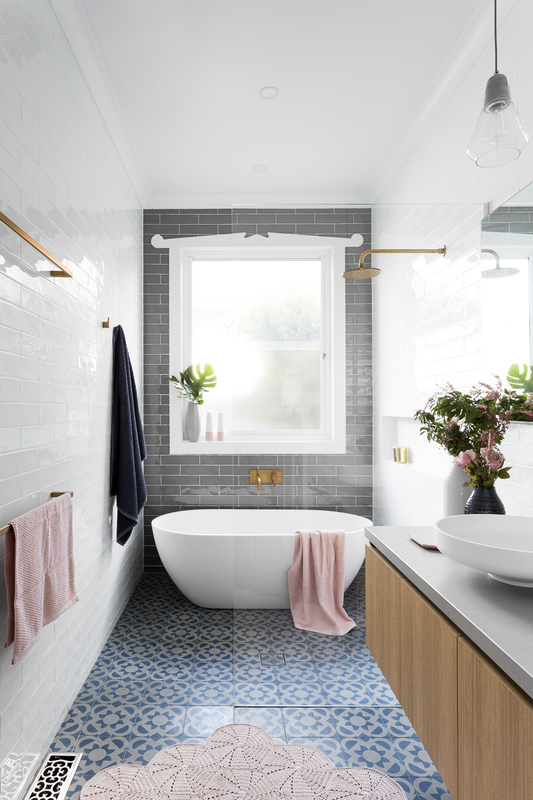 From basics like waterproofing and tile choices to luxuries like underfoot heating and stylish mirrors, we've put together a checklist of 14 things to consider when renovating or building your dream bathroom space. Placement is extremely important in a bathroom - the tub, the shower, the WC and the vanity. If you are changing your current layout to make it more seamless, speak to a builder or a plumber. If the layout is the same, then it's time to plan the rest. A bathroom is a wet area. To avoid leaks and excess moisture build-up that can lead to mold, mildew and rot, ensure that you waterproof your bathroom walls and floor. 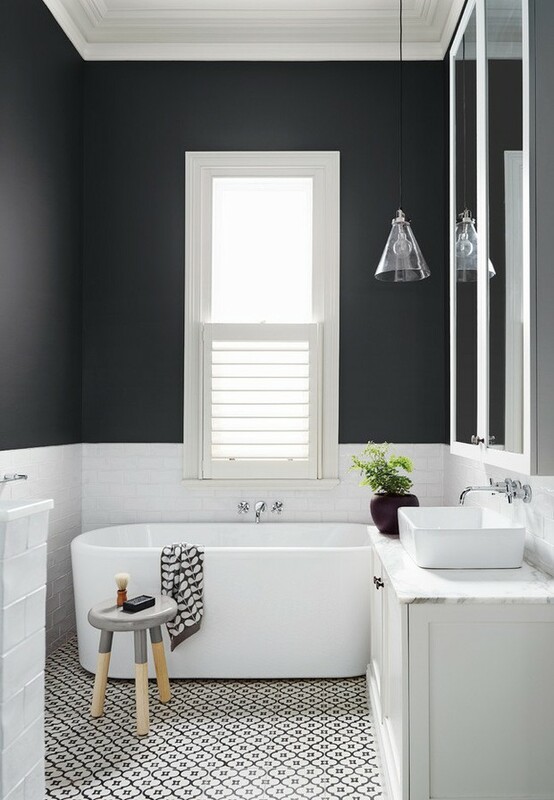 Selecting waterproof paint is important for a bathroom and don't forget to install an exhaust vent. Tiles are the most practical option for bathroom floors since the bathroom is a wet area. Think about matte tiles that are anti-skid than slippery glossy ones that may give off a cold vibe. Consider installing underfloor heating in the bathroom if you are ripping out the flooring and redoing the layout. 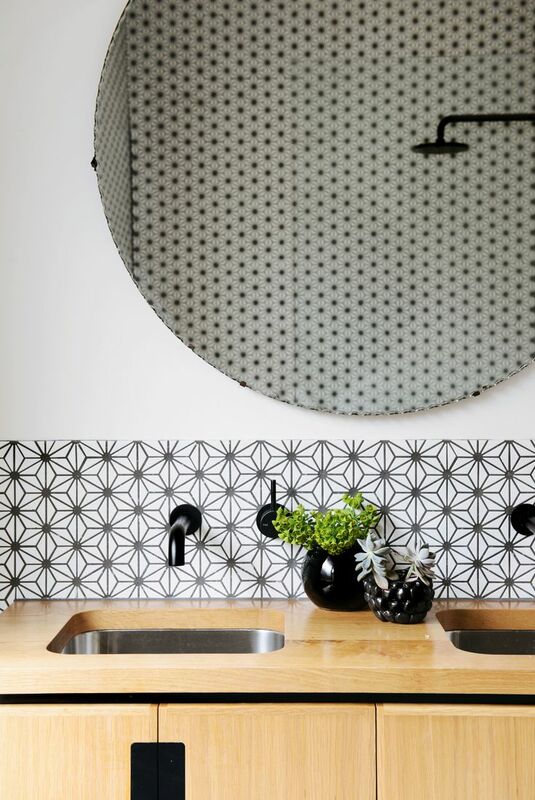 Tiling is where you can really let your style choices pull the room together. 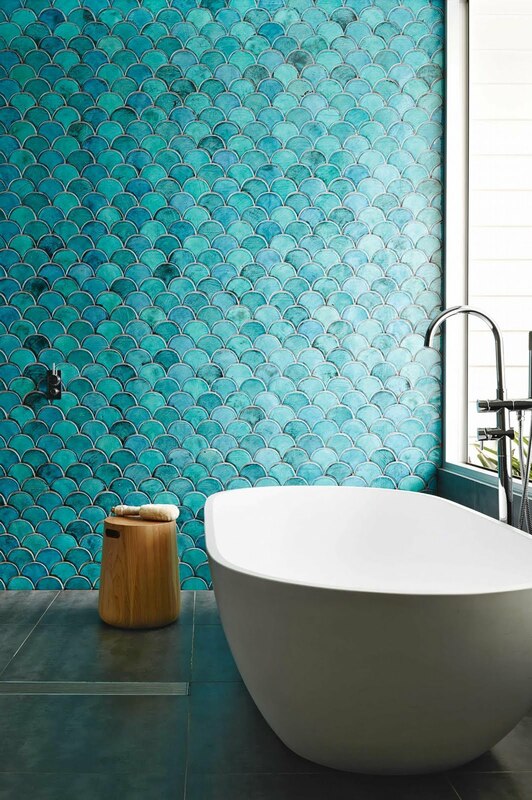 You can choose to use the same tiles on the floor and as well as on the walls to create a cohesive look or create a feature wall with a different tile choice. When it comes to tiles, there are a wide variety of styles, sizes, shapes and colours, which can all be combined to create interesting and unique patterns. Research your choices before you decide on a certain colour or pattern. 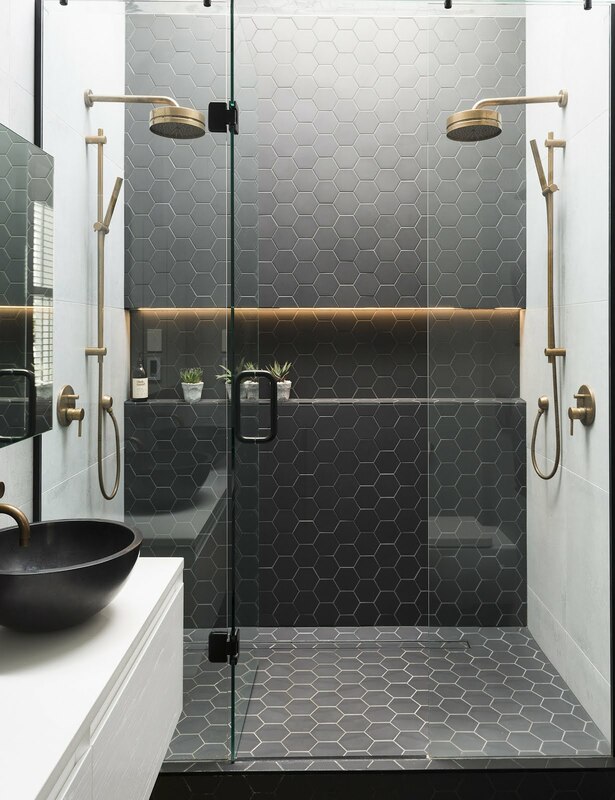 Design tip: Subway tiles are timeless and sqaure subway tiles especially are making huge style comeback in bathroom designs! 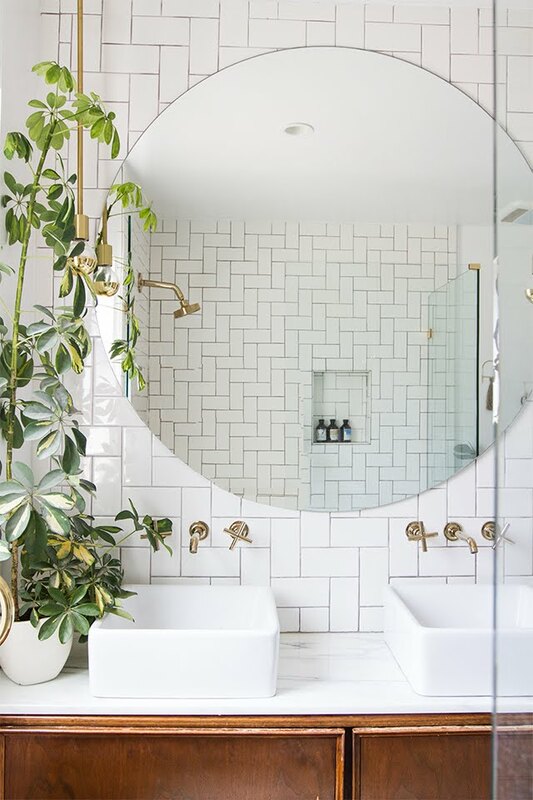 Mirrors are a functional necessity in any bathroom. But you can choose to make yours simple or a statement feature. There are amazing mirrors available that can create a beautiful look in your bathroom. However, don't forget to measure the space above your vanity before you pick one. Also have a think if you'd like to add backlighting to your mirror. Illuminated mirrors are great for applying makeup. So go round, go big or go double, frame it for a traditional feel or keep it unframed for a sleek minimalist look, the choice is yours. A bathroom needs both functional and visually pleasing lighting. If your bathroom is low on natural sunlight, you can choose to have a mix from options such as decorative, task, ambient and accent lights. Ensure that your lighting is soft, not harsh or fluorescent. Design tip: Lighting in the bathroom needs to be both well illuminating as well as flattering. Functionally shower enclosures stop water from being splashed everywhere but it's so much more than just a practical consideration. Aesthetically, the right shower screen can create an inviting and relaxing space in your bathroom. Read our detailed article on Shower Screens For The Contemporary Bathroom to get more insight on how to pick the one thats right for your bathroom. 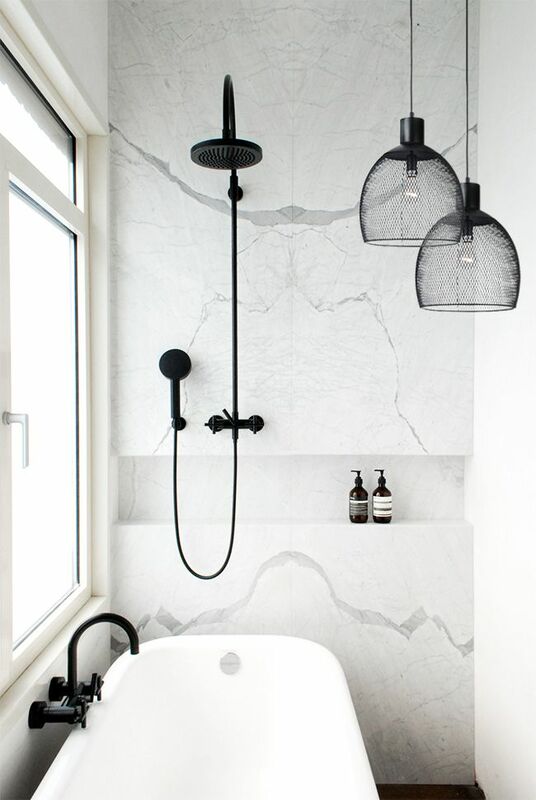 Design tip: Add a niche in the shower to store all your bath essentials. A tub is a functional design feature but it is also emotive. It signifies relaxation, leisure, 'breathing space' and most importantly a feeling of luxury and indulgence in the midst of a hectic lifestyle. Depending on the tub you choose, you can create a sense of high impact drama or a refuge of serenity in the bathroom. When choosing a tub, consider the layout carefully and measure the space in your bathroom. 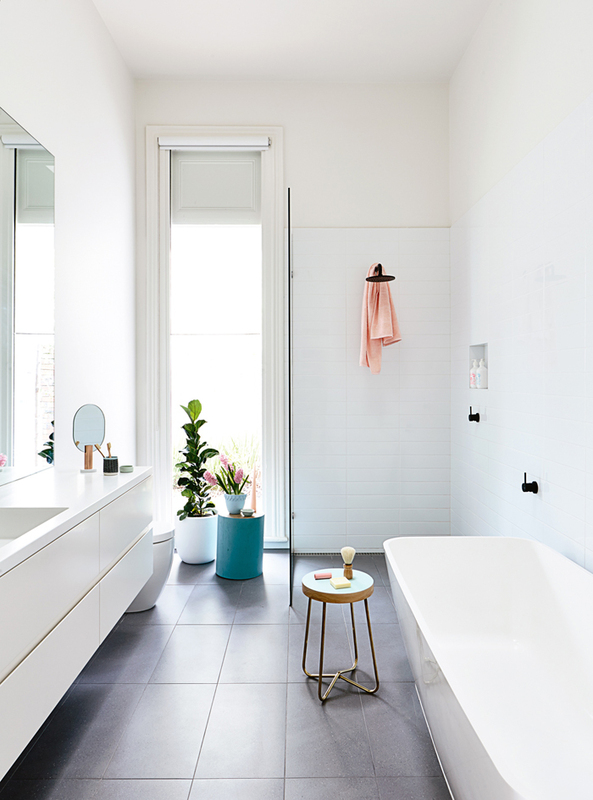 Have a read of our article on How to Choose the Right Tub for your Bathroom before you pick one. The vanity is the biggest piece of furniture in a bathroom and it is imperative that it is chosen wisely. Think about the style of furniture in your home when choosing a vanity and the top. 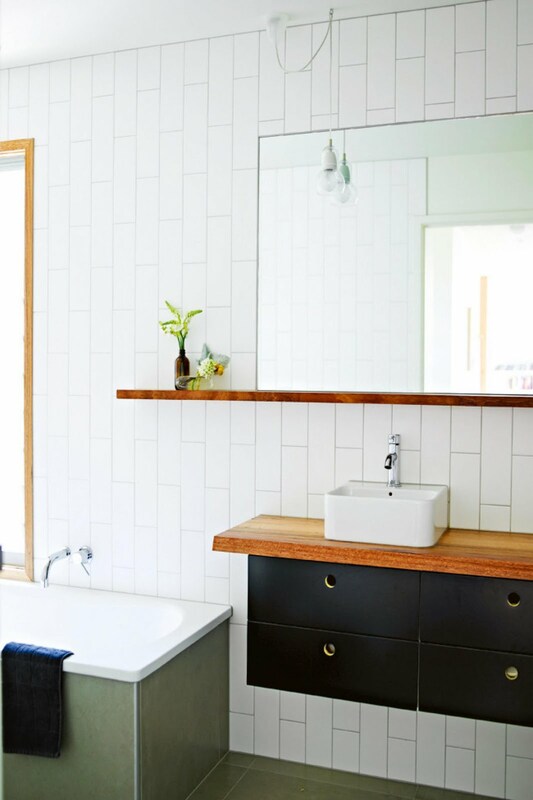 You could choose to upcycle a vintage sideboard into a double vanity or a sleek Scandinavian one to maintain the overall design and theme of your home. 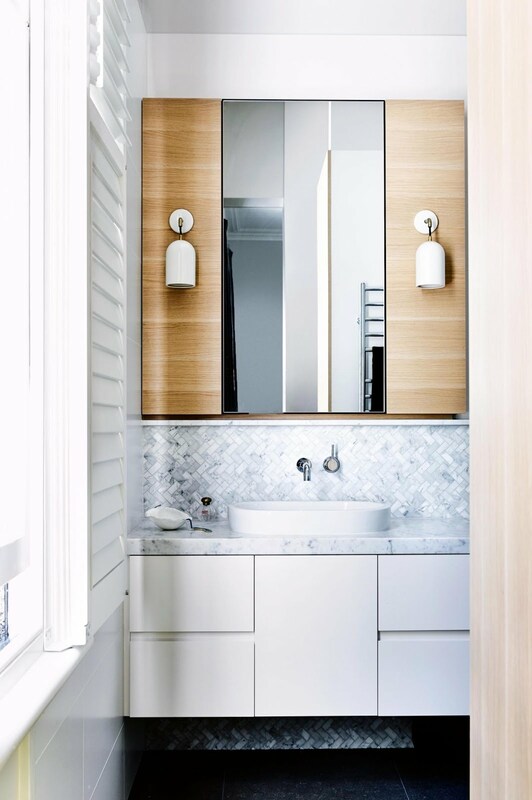 Think about the size of the vanity in relation to the space in your bathroom. The vanity is a work-surface to store cosmetics, soap, toothbrushes etc and needs to be durable enough to stand up to water. You could make the vanity a feature piece in your bathroom with a statement top like marble or stone or a beautiful piece of weathered timber. There are a number of surfaces available for vanities, however it all comes down to personal taste and budget. Toilet suites have evolved in terms of style, shape, comfort and water efficiency. When choosing a suite, think about water efficiency star ratings, cleaning, easy installation, the style you prefer and what complements your overall bathroom design. ~ Modern concealed toilets for smaller bathrooms where the cistern (or water tank) is hidden inside the wall cavity, ceiling or under the counter with only the toilet to be seen. ~ Easy to clean, a solid unit the wall faced toilet suites where it sits flush against the wall and there are no gaps between the toilet and the wall. ~ Traditional close coupled toilets where the pan and cistern are joined together so you cannot see the flush pipe. This type of toilet suite suits almost all types of bathrooms. ~ Connector toilet suites which are also quite traditional looking with the cistern joined to the pan by a plastic flush pipe and connector plate.These are easily installed but quite conservative in their style. Depending on the space in your bathroom, storage for all your necessities and knick knacks will have to be considered. You need to have space to store makeup, lotions, razors, toothbrushes, hairbrushes, toilet paper, extra towels, extra cosmetics and bath and shower stuff. The easiest way to create storage is via the vanity. However if your vanity does not come with storage drawers, you might need to think outside the box. Wall shelves, decorative yet functional ladders and baskets under the sink also provide good storage in small bathrooms. Shelves provide storage and are also decorative to keep a few small plants, magazines, scented candles and makeup on. Think about adding one or two shelves if you have the space to create an unique interior design. Tapware is like jewellery for the bathroom. Tapware should complement the overall design and style of the space. Think sleek matte black, stylish brass, eclectic copper or trendy chrome. There are also a few coloured options that looks beautiful and unique! However, apart from design also think about the functionality and durability when choosing tapware. Consider the functionality of your taps- the type of sink or bath the tap will be used for and with. For example, freestanding baths will need a longer spout and if there is less space on the vanity you might need to fit the tap in the wall over the sink. Design Tip: Hold and feel the taps to ensure they are easy and comfortable to use. 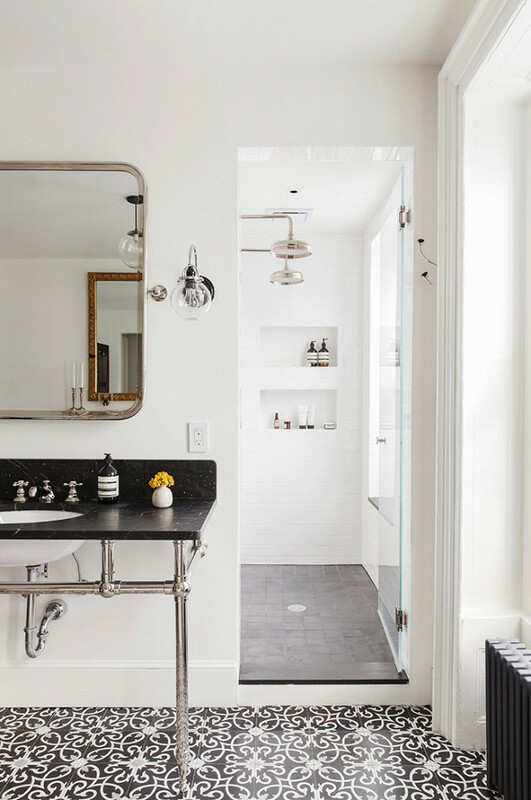 Designing a good bathroom requires meticulous planning, good organisation skills and an eye for detail. Think about your daily routine and about the people who will be using this bathroom before you start planning the overall re-design. Make sure you have enough space to move around the bathroom without it feeling closed-in. Also consider adding small luxuries that will go a long way like underfoot heating and heated towel bars which will be blissful in the winter months. Finally consider the cleaning and maintenance requirements to keep your dream bathroom looking and functioning like new! Hopefully we've covered all the fundamentals required to design a fantastic 'dream' bathroom for you. If you'd like to know more about bathroom designs and renovations, leave us a comment and we'll get back to you soon. Till next time... good luck with the bathroom reno!